Participants will gain understanding of how optical Science interacts with oral biological tissues. Participants will be able to employ necessary safety precautions in the operation of diode lasers in patient treatment. Participants will be able to employ diode laser techniques to enhance treatment outcomes. Participants will know appropriate diode laser protocols in treating most dental pathologies. Participants will attain the necessary knowledge in order to integrate diode lasers into their patient treatment. Participants will gain sufficient knowledge about diode lasers to allow a passing grade on the included proficiency examination. Dr. J. Graeber maintains a full time comprehensive cosmetic practice in East Hanover, New Jersey. He has utilized Nd:YAG, Diode, Erbium:YAG and Erbium Cr:YSGG dental lasers since 1991. Dr. Graeber is a past president, Tri-County Dental Society and the Metropolitan Academy of Laser Dentistry. 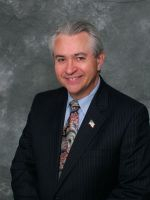 He has served as a member of the ADA Council on Ethics, Bylaws and Judicial Affairs and is a member of the Board of Directors of the Academy of Laser Dentistry. He has lectured internationally in many Dental Schools, Esthetic Continuums, and major dental meetings for more than 10 years on both lasers and air abrasion. He has trained new owners for most of the major dental laser manufacturers. An Academy of Laser Dentistry Standard course Provider, and has written over 10 nationally published articles on high-tech subjects.